In this edition, a downtown soul food restaurant closes, a shuttered Korean eatery is reopening under new owners, a new sports bar heads to a former Latin bar and grill, and more restaurant-related news from around The Town. An unnamed Hoodline tipster alerted us to the closure of Lady Esther's soul food eatery over the weekend. 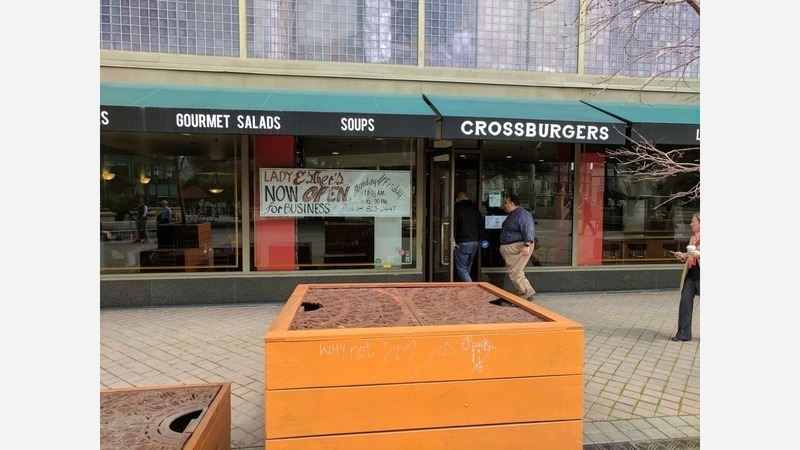 "I walked by there after it should have been closed anyway," wrote our informant, "but there was also a sign on the door" indicating that the restaurant is seeking a new home. "We thank you for supporting Lady Esther's," the message reads. "We are looking for another location to continue to serve you. Thank you." There's no word as of yet as to why the restaurant -- known for comfort fare like breaded pork chops, mac 'n' cheese, collard greens and fried catfish -- is in the market for a new home. When we reached out to learn more, a note sent via Facebook Messenger was read by the business, but not returned. 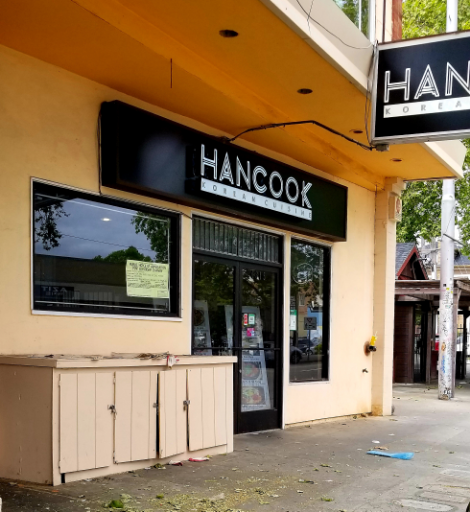 Veteran Hoodline tipster Al M. reports from Temescal that Sanh Maru Korean BBQ is now poised to become Hancook Korean Cuisine. 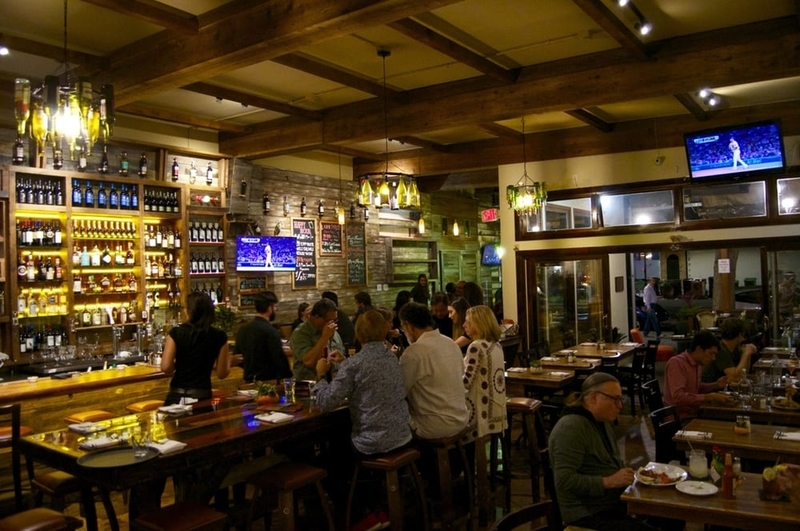 It's not clear why the eatery initially closed -- the restaurant was still serving meals late last month, according to Yelpers. Al said work is being conducted inside and new signage has been installed. During his visit, someone he spoke to said the menu is still being experimented with and the restaurant is aiming for a mid-May debut. As always, Al said he'll report back when things have moved forward. Just next door, Al spotted movement at the former Urbano Latino space, which closed last December. As we reported in March, the space had been vacant for some time with the rolled gate closed and "mail and dried leaves piling up." Now, it appears that a newcomer, 2nd Half Sports Bar, is planning to move in and open on June 1, said Al. According to a Department of Alcoholic Beverage Control application posted to the door of the business, the new bar comes from Halftime Sports Bar LLC. We've searched public records to see if the new bar is connected to Oakland's Halftime Sports Bar in Downtown, but haven't been able to confirm a connection. A message sent to the bar has not been returned as of press time. Lastly, Al said things are almost ready for Roam Artisan Burger's expansion to Oakland. He spoke to someone at the business who said the new eatery recently passed inspection and will be conducting employee training over the next few weeks. Customers can expect a soft opening to occur "around May 9," he said. Thanks as always to the seemingly omnipresent Al M. and our anonymous benefactor!